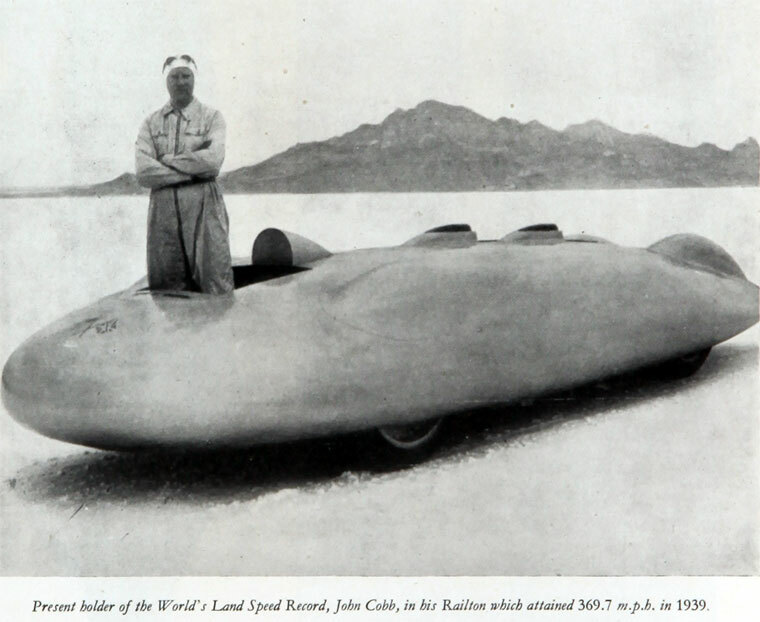 John Cobb attained 369.7 mph in his Railton in 1939. The Railton Mobil Special smashed the world land speed record on September 15th 1938, in 1939 and again in 1947, when John Cobb became the first man to break the 400 mph barrier on land. In all, it held the world record for 25 years. The land-speed record car is now exhibited at Birmingham Thinktank museum. This page was last edited on 15 April 2019, at 08:37.